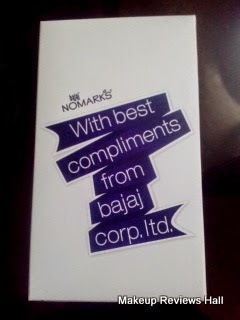 Few days back I got BAJAJ NOMARKS PRODUCTS for Review. Nomarks - Anti Marks Cream Brand, have huge range of skincare products including facial cleansers, soaps, moisturizing cream i.e skin cream to fight pigmentation on facial skin, face pack, scrubs and many more products for all skin types Dry, Oily, Normal and Sensitive. As the name suggests, No marks Products mainly focuss on pigmentation, marks, pimple marks and acne scars, to give you blemish free flawless skin. 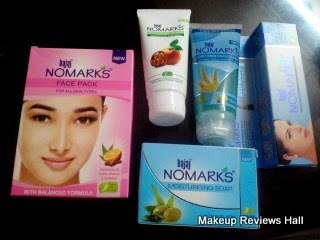 I have sensitive acne prone skin but fortunately I don't have any scars, so never bought this nomarks skin cream but yes I heard of it many times and even saw its ad several times on television. 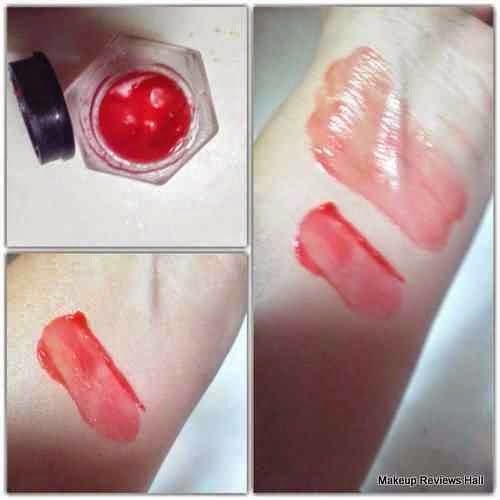 When I was offered to review its products, I could not miss the chance and choose the products for dry skin since my Mom with dry skin have slight pigmentation and scars on her cheeks. She have tried few products but the results are not permanent and scars do come back whenever she spends a little more time in Sun. 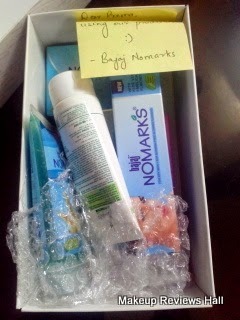 So here I am with this NOMARKS PRODUCTS KIT for dry skin. I will be reviewing these products one by one after few days when I will start to feel the difference in my mother's skin. Till then lets take a look at the products and their claims. 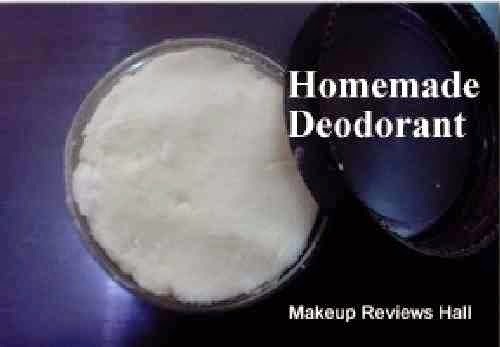 For blemish free glowing fairness. With age, skin tends to become dry because of the loss of natural hydration, and becomes prone to blemishes & wrinkles. 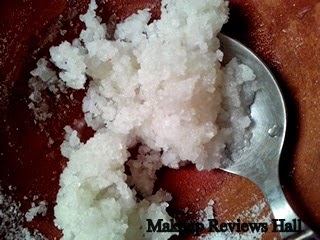 Treat Acne, Pimples and Scars Naturally. With age, skin tends to become dry due to the loss of natural hydration and becomes prone to blemishes and wrinkles. New Bajaj Nomarks Face Wash for Dry Skin is formulated with encapsulated beads of Carrot, Lemon and Wheat Germ Oil that not only help in hydrating and nourishing your dry skin, but also provide sun protection from the harmful effects of UVA & UVB rays. Carrot oil prevents skin ageing. Walnut Shell Powder and Apricot Kernel granules deep cleanse the skin, remove dead skin cells & impurities, and promote skin regeneration. Orange Peel Powder acts as an effective astringent and clears acne marks, dark spots and blemishes. Aloe Vera protects from the harmful UV rays and promotes hydration, elasticity, youthful suppleness and radiance of the facial skin. 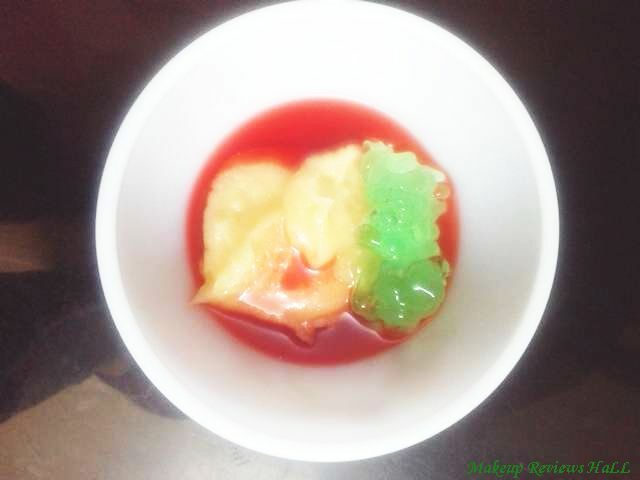 Take sufficient quantity of Bajaj Nomarks Exfoliating Scrub with Walnut & Apricot and apply all over the face and neck. Leave it on for 8-10 minutes, massage gently in circular and upward strokes and remove thoroughly with a wet facial sponge or soft towel. Wash off with cool water and pat dry. 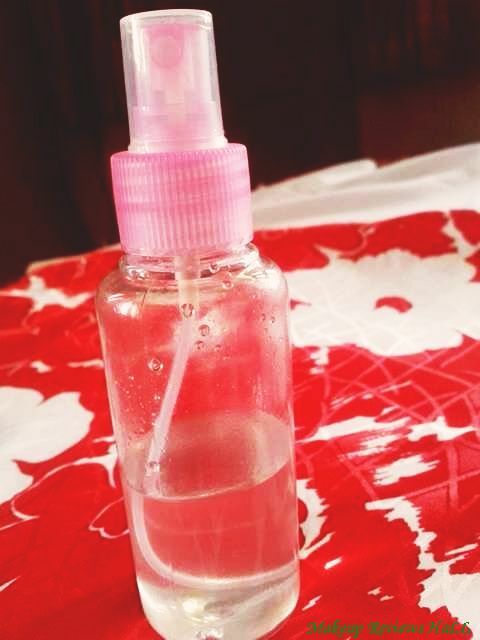 Regular usage cleans and tightens skin pores to make the skin fresh and glowing. Neem fights acne and skin disorders. Sandal gives cooling and soothing action. Orange has a skin-whitening property. 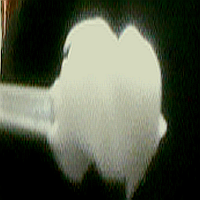 For best results, mix 1 tablespoonful of Bajaj Nomarks Face Pack with water/gulabjal (rose water) to make a smooth paste. 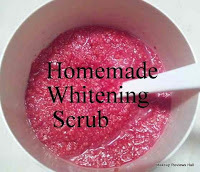 Wash face & pat dry, and apply a thick layer evenly on the face and neck. Allow it to dry & then wash the face with water.